Since the time the Rafi Foundation got going at Mumbai, followed by its Delhi Chapterâ€™s birth, we at Hyderabad were mulling over the idea of forming the Hyderabad Chapter. Likeminded persons got to know one another through the pages of www.mohdrafi.com and also names of probable contacts were forwarded to us from Mumbai and Bangalore. It was by chance that I got to know first Mr. P. Narayanan from Bangalore on the website. 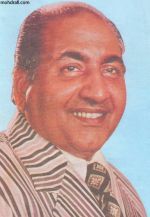 I had all along known only the songs of Rafi Sahab and was influenced since my own childhood by the uniqueness of this legendary singer. While I liked any good composition with good lyrics rendered in a class of its own by any singer, Rafi Sahab scored over the rest by his clarity, diction, softness and full of zeal and emotion in his songs. Such was the impact of his rendition that I had never the difficulty in understanding the mood of the song. Rafi Sahab conveyed it all through his voice. One need not see the movie from which a song was rendered. There it was for the entire world to relish the efforts put in by the producers, the directors, the story writers, the lyricists, the music directors and above all the actors. The entire picture is before our eyes â€“ only the singer had to be Rafi Sahab. It was through Mr. Narayanan Ji that I first got to know of the Rafi Foundation and its proposed activities. I was immediately drafted into this. I had no hesitation to announce my association with the Rafi Foundation. Slowly as we went about reading the various articles on the website and interacting with other â€œRAFIANSâ€, we got to know and understand more of our own tribe. Several notable names crop up in my mind â€“ Mr. H.V. Gurumurthyji, Mr. B. Venkatadriji, Mr. Mohan Floraji, Mr. P. Haldarji, Mr. Hussein Sheikhji, Mr. Binu Nairji, etc. etc. It would take another twenty to twenty-five names if I were to name all the very active RAFIANS on the website. Mr. Narayanan introduced me to Mr. S. Ramakrishnaji, also from Hyderabad and we had a long conversation. Instantly we hit it off as I found to my pleasant surprise that Mr. Ramakrishna was not only an ardent fan of Rafi Sahab, but also a very vocal one. He is endowed with the best of musical knowledge. I started discussing these and other articles with my other two known RAFIAN friends Mr. R. Padmanabhan and Mr. A.V. Srinivasan who are my colleagues too. Then we learnt that another good friend of ours, Mr. N.R. Padmanabhan, too was a die-hard fan of Rafi Sahab. This was too good to be true. In my own backyard, I suddenly found an avalanche of Rafi Sahabâ€™s fans â€“ all with equal or more knowledge of Hindi film world, Rafi Sahabâ€™s songs, etc. The first thing that we five did was to subscribe to the SARGAM magazine published by the Rafi Foundation from Mumbai. It was during the publication of the magazineâ€™s first issue last year that we came in contact with Mr. Shirish Kulkarni. Again, the very first phone conversation that I had with Mr. Shirish Kulkarni, I knew that we had discovered a new friend who is equally devoted to the one name that we all adore â€“ Mohammed Rafi Sahab. We continued our socializing on the website and also through regular emails and phone calls between Hyderabad on one side and Bangalore, Mumbai, Chennai, New Delhi and other places on the other. I personally have made the best of friends in the recent times and all with a common agenda â€“ that of propagating the works of Rafi Sahab. Though on the wrong side of the 50s, we decided not to let go of this wonderful phase in our lives and we began organizing our own meetings in Hyderabad. If on one Sunday all my other Hyderabadi â€œRAFIANSâ€ would come to my house, we would all assemble at Mr. Ramakrishnaâ€™s house the next Sunday. We would spend a few hours singing songs of Rafi Sahab and also discussing how to expand our horizon. Again our friends Mr. Narayanan and Mr. Shirish Kulkarni gave us several â€œleadsâ€ of â€œRafiansâ€ and we were on the phone the next moment contacting them, often with success. Most of the other â€œRafiansâ€ may not be very active, but it does not dwarf their commitment to the common agenda that we have ahead of us. And then came one of the best moments in our path so far, in the form of visit to Hyderabad by Mr. Shirish Kulkarni alongwith his friend from Mumbai Mr. Joseph Dâ€™Souza on a personal visit. They had however kept one full day for us before they left for a remote area on their personal work for the next two days. 25th January, 2008 was a day we will remember for all time to come. That day we had decided to assemble in the hotel room occupied by Mr. Shirish and Mr. Joseph. We rang up to other friends and we were also joined in by Mr. Mir Hasan Ali and Mr. Raghavendra Rao. It would be a record of sorts if I state here that we were all huddled up in that room on that day from 2.00 p.m. to 11.00 p.m. and all through we were singing Rafi Sahabâ€™s songs and discussing the Rafi Foundation, the Bharat Ratna Award and other â€œRAFIANSâ€ known to us. No one bothered about food, we were only interested in Rafi Sahabâ€™s songs and his style of singing. Just an occasional cup of tea every few hours would suffice. No one bothered that each one of us had to go very long distances to reach our homes. Only one topic was central in our minds â€“ RAFI SAHAB. Our families too did not â€˜disturbâ€™ us enquiring when we will return home. They all knew only Rafi Sahab will let us go and at an appropriate time. During the time we spent at the hotel room, Mr. Narayanan from Bangalore, Mr. Shashank Chickermane from Mumbai, Mr. Zareef Ahmed from New Delhi and others spoke to each of us. Names that were not known to one another only a few months back seemed so familiar and from within the family. This is the magic of Rafi Sahab. Bonds were created for eternity from the one and only â€“ THE ETERNAL RAFI SAHAB. And just as Rafi Sahab would have said â€œEk Akela Thhak Jayega, Milkar Haath Baddhana, Saathi Haath Baddhana, Saathi Haath Baddhanaâ€, we all took the solemn oath of working together to form the HYDERABAD CHAPTER of the RAFI FOUNDATION. A suitable name for this organization would be discussed shortly. I and Mr. Ramakrishna have been contacting many more RAFIANS here in Hyderabad and the strength is swelling. Mr. Samarjeet Acharjee (just 27 years of age) is the latest entry into our fold (he has been a RAFIAN all his life and has even posted an article on www.eternalrafi.com). There are several other plans in our mind and the following months will unfold them all. This entry was posted on Saturday, February 16th, 2008 at 9:21 pm	and is filed under The Rafi Foundation. You can follow any responses to this entry through the RSS 2.0 feed. You can leave a response, or trackback from your own site. I would like to join this club. How can i join. My number is 9676594222. I work for Defence Engineering Services in Oman and is back in Mangalore now. 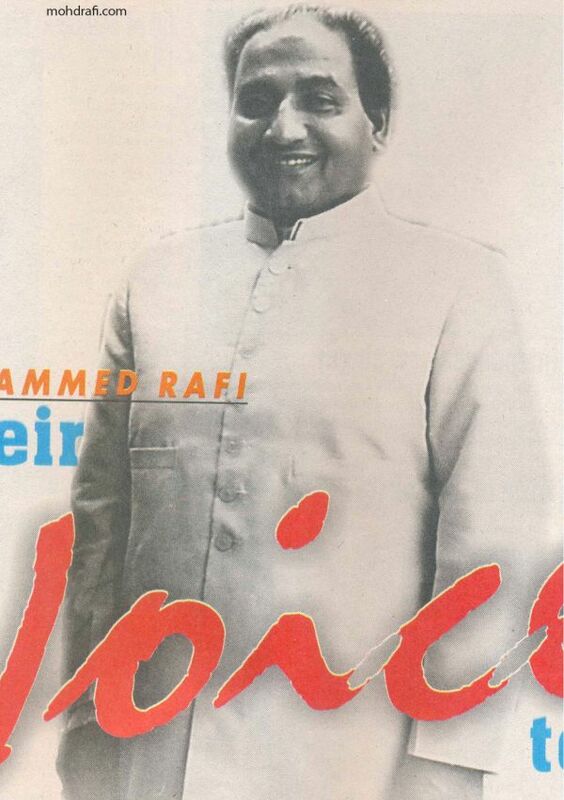 I would like to join Rafi foundation and want to render some of his songs as i used to sing in Townhall etc. in Mangalore during school college days. My contact number is 9538622954. I may please be contacted for future plan in the context. I am a big fan of Rafi saab like millons of others. I am In Now Taiwan and almost everyday i sing Rafi saab songs in karoke. I want to join the foundation. i wnat to know how ot be part of the foundation. Where do you conduct the karaoke sessions in Hyderabad ? I am in US and regularly sing Rafi sab songs. Back in Hyderabad, my folks are interested to participate. Rafi saab is eternal!, we need to spread the melodies to the younger generation..
Rafi Foundation Hyderabad Chapter organizes every Sunday a Musical Session of its members for close to 5 hours and we take to karaoke singing. If you are interested as you say, do join us by giving me a call at 9391267272 i.e. if you are at Hyderabad itself. We would be too happy to meet you. Its very nice to know that there is a fan club of Rafi jee in HDBD. I would like to be a part of it. Please let me know the process. I’m a fan of Rafi saab since 1991 and specially the sad songs are too good and sensible. I’ve a big poster of Rafi saab and pasted in my house.